Mosquitoes are known to be summer pests but that doesn't mean they aren't around during the colder months of the year. Read on to discover where mosquitoes go in the winter and why they are so inactive. Why Aren’t Mosquitoes Active During the Winter? Where Do Mosquitoes Go During the Winter? Will Mosquitoes Remain Active During a Warm Winter? Mosquitoes are cold-blooded insects—this means that they cannot regulate their own internal temperature. Because of this, mosquitoes prefer warm weather. As cold-blooded creatures, mosquitoes should find it difficult to survive freezing temperatures. Yet, some mosquitoes are very hardy insects. Certain species have even become fully accustomed to colder climates. In fact, female mosquitoes living in cold regions of the globe have found a way to survive the harsh climates. They go into a kind of hibernation. This diapause, a biological process, is also known as becoming dormant. Their behavior prior to hibernating is very interesting. The female will have to fatten up in order to survive the long winter. To do this, she will stop feeding on blood from mammals and will, instead, feed on rotten fruit or nectar throughout late fall. This goes a long way toward explaining why we're not as affected by mosquitoes in cold weather as we are during warm summer nights. Late fall is also the prime time for females to lay next year’s generation of bloodsuckers. As the temperature drops, the female will look for small containers of stagnant water to lay her batch of eggs. Some mosquitoes lay their eggs in the freezing water and usually die straight afterwards. Others will continue to find a nice warm hideout where they will become dormant until the warmer weather comes along. Male mosquitoes often become sluggish whenever the temperature drops. This usually happens at around 50 degrees Fahrenheit. The male mosquito, unlike the female, doesn’t have the coping mechanism for cold weather conditions and will die. People who live in warmer areas of the world might not notice much of a seasonal difference in mosquito activity. Whereas, in colder regions, you may not see any mosquitoes at all over winter. Some birds travel to warmer regions when winter approaches. Mosquitoes don't have that choice due to their size, and their short lifespan. So, where do they go? The mosquitoes that do manage to live through cold winters often hide out in isolated locations, such as in old logs and animal burrows. Any place that is warm and damp is the perfect home for a mosquito to spend her hibernation. The eggs, larvae, and pupae can also survive cold winters. The eggs are isolated in a special shell that can withstand freezing temperatures. The same goes for the larvae and pupa. During the winter, the larvae and pupae will pause their development. They will also enter a state of hibernation. The offspring will stay protected until the weather heats up, then they will continue to develop. The eggs will then hatch and become the next generation. When temperatures drop to freezing levels, a biochemical process begins within the mosquito's tiny body. This process makes sure the insect stays intact and healthy while being frozen alive. During this process, some of the water within the insect's body is converted into glycerol. The glycerol acts by decreasing ice formation within the cells of the mosquito. Water usually forms ice crystals when frozen, this can cause severe damage to the cells and tissues in the mosquito's body. Instead, the glycerol makes the water form glass-like crystals. It is this that allows the mosquito to freeze and thaw without damage. Glycerol also lowers the temperature at which water freezes, enabling the mosquito to survive extremely low temperatures. Once the cold winter is over and spring shows its first signs of appearing, the female mosquitoes will thaw. You can imagine how hungry they are after several months of hibernation. This explains why the first mosquitoes of the season are generally the most aggressive. They are eager to get their first protein-packed meal of blood so that they can lay their spring eggs. Warm winters can be tricky for the mosquitoes. They have a complex inbuilt biological clock that tells them when it's time to settle in for the winter. The cold triggers their internal systems to go into diapause, the process we looked at above. If the female mosquito doesn't become dormant during the winter, she will most likely spend her days feeding and laying eggs until the end of her lifespan. She generally lives around 40 to 50 days, depending on the species. If the temperature remains around the 50-degree mark, it can be difficult for her to decide whether to stay active or hibernate. All mosquitoes become sluggish and inactive when the temperature drops. Females usually stop feeding on blood and instead move to a more sugary diet. Living in regions with unpredictable winters can sometimes bring a few surprises. Occasional warm winter days may prematurely bring a few mosquitoes out of diapause. These will most likely die when the temperature drops again, as they are only able to hibernate once. Will Mild Winters Increase Mosquito Populations? Mild winters allow the female mosquitoes to reproduce for longer, instead of going into hibernation. This means next year's crop of mosquitoes might be even more populous. Although the warmer weather might be pleasing for people who don't like freezing temperatures, it also brings along a few concerns. Cold winters have been keeping the tropical and subtropical mosquitoes at bay. 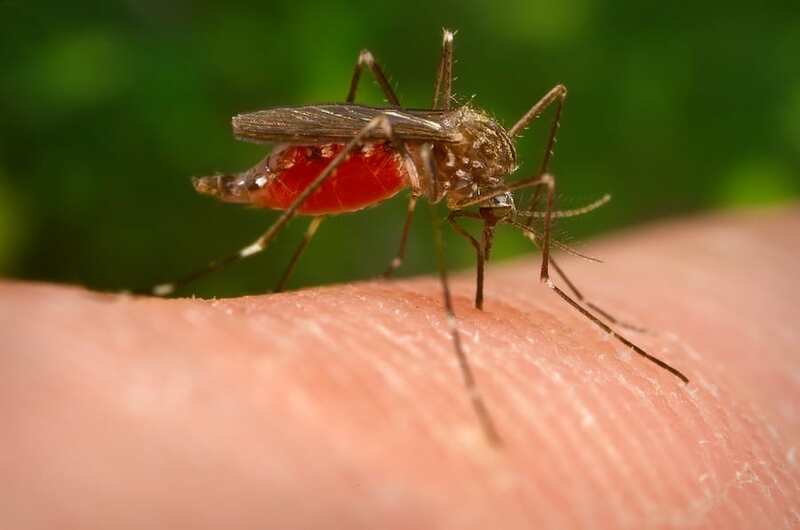 These are typically the more dangerous mosquitoes, such as the aedes aegypti. However, climate changes over the last few years have made winters around the world warmer and milder. This change in weather has allowed mosquito species to move around more, expanding their habitat. Mild winters enable the mosquitoes to mate, reproduce and establish populations in new territories. This change could suggest a health concern in northern climates in the coming years. Mosquitoes become very inactive when the temperature drops. The male mosquitoes will get sluggish and soon die. The females will change their behavior and feeding habits drastically. Some species will go into hibernation when the first frost approaches, others will lay their final batch of eggs and then die. Researching where mosquitoes go in the winter has uncovered a complex system of biological processes, which allow mosquitoes to withstand weather that many other insects would perish in.